SECTION 1. The City recognizes that its constituents are modeling actions and attitudes that reflect the Golden Rule as expressed in the International Campaign for Compassionate Cities’ “Charter for Compassion”. SECTION 2. The City encourages San Antonio’s institutions of learning to have all ages explore and teach compassion, based on the understanding that extensive research and resources validate the full spectrum of the benefits of compassion, from being good for the bottom line of business to being a part of the human DNA. SECTION 3. 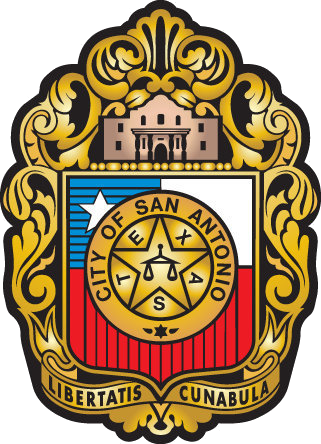 The City supports groups and initiatives that will make San Antonio a more compassionate City, and through its Faith Based Initiative the City will work with the community and neighborhoods to foster compassion in a reasoned and coordinated manner. SECTION 4. The City accepts the support of other public, private, community and faith-based organizations that wish to improve the quality of life for all residents of San Antonio and to generate compassionate action through local initiatives, policies and programs. SECTION 5. The City recognizes, records and celebrates acts of compassion among members of the San Antonio Community. SECTION 6. The City affirms the Charter for Compassion and authorizes the City’s registration with the International Campaign for Compassionate Cities through Compassion Action Network International. SECTION 7. This Resolution is effective immediately upon the receipt of eight affirmative votes; otherwise, it is effective ten days after passage. PASSED AND APPROVED this 22nd day of June, 2017.